Playing video games has become a popular sport. And professional eSports players have started competing for big money prizes. 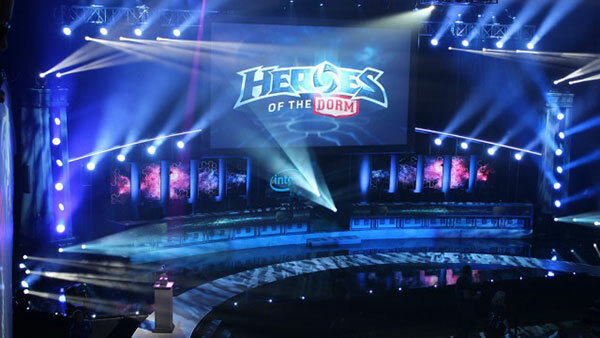 Last year, each member of the Berkeley eSports Club won a $25,000 scholarship for winning a "Heroes of the Dorm" competition. The University of California-Berkeley's eSports Club is a place to have fun and scout for some of the top gaming talent in the country. "They actually got scholarships to pay for their tuitions." Members of this Berkeley team from 2015 each won $25,000 scholarships for winning the "Heroes of the Dorm" competition - sponsored by gaming company Blizzard Entertainment. Berkeley's esports club has more than 1,000 registered members. Many of them will have to go through tryouts where they'll select only the very best to participate in that prestigious 5-6 person collegiate team. Recently, the PAC-12 - one of the US's leading college athletic conferences of which Berkeley is a part - announced its intention to hold eSports competitions that culminate in a championship event. "I feel like the PAC 12 involvement is an excellent chance for eSports to gain legitimacy and just be on that level with other sports. I would say eSports athletes practice as much if not more than normal athletes do. Work so hard for everything they do," said Kevin Ponn, President of UC Berkeley E-Sports. Harvey Yuan, one of the top Heroes of the Storm players in North America, says practicing 15-20 hours a week while balancing his chemistry classes is tough. He'd love to see eSports treated like a real collegiate sport. In fact earlier this year the University of California Irvine announced it was the first public university to launch a League of Legends eSports scholarship program. And it just opened the first public university eSports arena. "When colleges hear about the opportunity to make money from a sport, people are gonna televise it as well, then the colleges are definitely going to come around and you can expect that it will swing quickly once that money starts really materializing," said Dean Takahashi, lead writer of Gamesbeat. And if you don't consider it a sport, Takahashi predicts eSports will get more physical. "You might have a studio where people compete physical, somebody would punch instead or slice with a sword, so you could have very different kinds of games in the future. 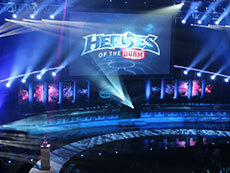 And things like Virtual reality, and that will bring back a lot of physical activity to eSports," said Dean Takahashi. As virtual worlds and reality begin to merge, so too are the lines between sport and higher education.